I have the Anki Cozmo robot which is super cool so I figured I would try the Overdrive product. It doesn’t disappoint. 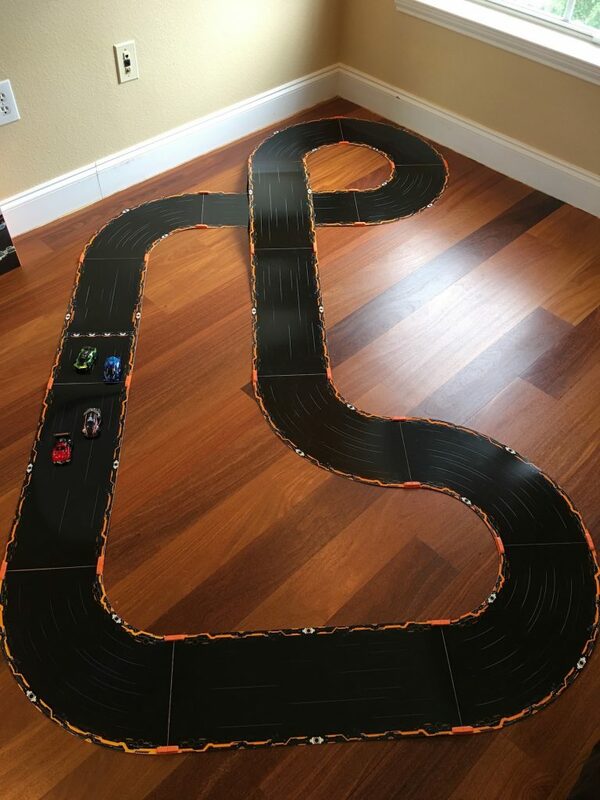 The cars for the game all have on-board AI that reads the track for location so it knows whether to drive straight or it is heading around a curve or even a jump. There are different styles of games you can play with the vehicles; race, battle, King of the Hill, time trials, but you control the lanes the cars are in, speed and weapons use. That’s right, each car has different strengths like speed, defense, weapon power, etc. and you use those while you’re racing to gain position on your opponent. You can race four other players using your smartphone or race the AI. You get weapons like particle cannons, area affect weapons, depth charges and even a tractor beam for reeling in your opponent for a disabling shot. Part of the appeal to this game is that you’re able to buy additional vehicles, track, jumps, intersections and more. The whole product is shows that is was well thought out. The track pieces fit together with magnets so no snap together pieces. The cars go around turns using only their rear wheels by varying the rotation speeds on each wheel and the app is well thought out too. It’s well thought out in a way you expect from companies like Apple. Anki definitely has some smart folks working for them. Seriously fun and the track configurations are endless. And the AI likes to trash talk to. A whole lot of fun! Update: And they are adding a Fast & Furious set of cars available for pre-order on May 16th.